Cryptocurrency is proving to be a long-lasting financial trend. In the financial world, cryptocurrency is both loved and hated passionately. It is the new Wild West. Whether you are a seasoned investor or someone who is just dabbling because you are curious, the process for buying and exchanging cryptocurrency is similar across the board. It is important to stay up to date because blockchain technology is always changing and the right exchange and the best cryptocurrency wallet is pivotal to your crypto-trading. Read on to learn about the 10 best cryptocurrency wallets! A cryptocurrency is a virtual form of money that is traded in a peer-to-peer marketplace. 2. What Is a Cryptocurrency Wallet? Cyptocurrency wallets can be software, hardware, or even paper: but the main thing is that your Cryptocurrency wallet holds all the essentials of your cryptocurrency. 3. What Is a Cryptographic Key? The cryptographic key is a long string of auto-generated letters and numbers that lock and unlock access to your cryptocurrency collection. The key is an essential part of the cryptocurrency wallet. Where the key is generated and who controls that key should be considered carefully when you are looking at the best cryptocurrency wallets. 4. What Does a Cryptocurrency Wallet Do? It holds at least one type of digital currency, stores, and the manager the cryptographic key associated with your account and also handles the security and verification of digital currency transactions. 5. How Does a Cryptocurrency Wallet Work? There are five different types of cryptocurrency wallets: cold wallets, hot wallets, decentralized wallets, hosted wallets, and paper wallets. A cold wallet has your crypto-key on hardware like a USB drive to have a space between your cryptocurrency wallet and the internet. Hot wallets are the overall term for internet generated keys, and the wallet is stored online. A decentralized wallet is a type has no centralized storage or “back end.’ Basically, you control your keys. However, a hosted wallet is stored on the servers of the cryptocurrency manufacturer. A paper wallet is as the name implies: there is a piece of paper that has your public and private crypto keys. 6. Where Can You Buy Cryptocurrency? To purchase digital currency and trade digital currency, you need to have an account under one platform that has a single corporation attached to it like Coinbase Consumer. There are also more automated and distributed exchanges like ShapeShift that are popping up all the time. 7. What Should You Look For in a Cryptocurrency Wallet? The most important part of a cryptocurrency wallet is the currencies the wallet supports. Every wallet supports different types of currencies. The second most important thing to look for is what type of security you need in your wallet. For example, a speculator will want transaction privacy so doesn’t want identity verification on the back end of a cryptocurrency wallet. There are many types of cryptocurrency wallets and many companies that manage them. To help give you a sense of what the best cryptocurrency wallet for you is, we researched and reviewed 10 of the best cryptocurrency wallets based on the following criteria: security, type of wallet, and how many types of digital assets the wallet supports. Most hot wallets that are software based are free to enter and download. 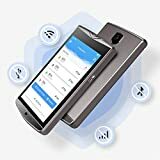 Cold wallets that are a hardware version of a cryptocurrency wallet range from around $ to around $$ and can be found on Amazon. The Ledger Nano S is a hardware style cryptocurrency wallet. It works like a USB drive and you need the Ledger Nano S plugged in to confirm your transactions. It is an extremely safe cryptocurrency wallet. It is unhackable as you physically press two buttons to confirm a transaction and malware proofed so there is no risk of a private key getting on the internet. This style wallet is good for transactions with ​​Ethereum, and the wallet stores unlimited coins and holds over 30 different cryptocurrencys including Ethereum and Bitcoin. So if you are an investor looking for security with great storage this is definitely a good option. The Ellipal Cryptocurrency Hardware Wallet is the luxury version of a hardware cryptocurrency wallet. It is built by the same company as the Ledger Nano S but has more options. It has the most advanced security on the hardware market today and supports over 20 different types of cryptocurrency. The design is stylish and looks like a mini ipad but is definitely not for entertainment. It has a Bluetooth and a rechargeable battery so you don’t have to be plugged in to use it. KeepKey supports transactions for 6 different cryptocurrencies, Namecoin, Bitcoin, Dogecoin, Dash, Litecoin, and Ethereum. This hardware cryptocurrency wallet is more affordable than either of the Ledgers but is still secure with malware proofing and advanced security systems. When plugged in the KeepKey integrates with the software you’ve downloaded on your computer and you may make transactions. Jaxx is new to the blockchain space and is trying to simplify the blockchain experience to make it accessible for everyone. The Jaxx wallet is a multi-chain and supports Bitcoin c​​ash, Litecoin, DAO, and many others. Their software is super user-friendly and works on desktop and mobile. You have full control of the wallet and don’t have to verify on the back end. Jaxx values privacy so they don’t have verification of personal information in the sign-up or login process. So this is a good option for someone looking to speculate. This cryptocurrency wallet can be downloaded on Jaxx’s website for free. 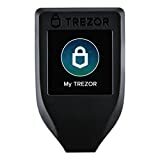 Trezor Model T Cryptocurrency Hardware Wallet. Next Generation Universal Vault for Digital Assets. Store, Send, Receive, and Exchange Over 1000 Cryptocurrencies. MODEL T is a cryptocurrency hardware device that protects your cryptocurrencies, private keys to your digital assets, and passwords. It provides you with state-of-the-art cryptography protection and easy access to your digital assets whenever you need it. Model T is a must-have device for everyone who values their digital identity and security of their assets. Model T wallet allows you to store more than 1000 coins and tokens, including Bitcoin, Dash, Ripple, Ethereum, and more. PERFECT SIZE can be carried anywhere you go. With its discreet design, Model T won't attract unwanted attention. Using next-generation technology to store private keys to allow you to manage your digital identity, crypto assets, and passwords safely. Your private keys never leave the device, they are completely isolated in the cold-storage environment from the threats of the online world. SIMPLE SET UP Connect to your computer or phone via USB cable, open trezor.io/start/ in your browser, and just follow the simple onboarding process. Compatible with Windows, macOS, ChromeOS, Android, and Linux. Model T is the most user-friendly device, with tight security you need to effectively protect your holdings against all threats, both physical and remote. EVERYTHING YOU NEED IN A BOX Model T comes in a box with a USB cable, clear User Manual, and Recovery Seed Cards. No additional accessories required. Available in a popular black color. Made of durable materials with no toxins or harmful chemicals. Created for maximum security everywhere you go. 100% MONEY BACK GUARANTEE So you never have to worry about returning an unused device back. This guarantee makes Model T an ideal gift for the crypto enthusiasts around you. T​​rezor is another more affordable hardware cryptocurrency wallet option. It also works as a USB and plugs into a computer to use and when you unplug the wallet, the Trezor is completely turned off. Their security system uses the “Zero Trust Approach” that has a login pin with lots of built in protection for the pin and provides recovery seed if your wallet is lost or stolen. The wallet supports 14 different currencies but was specifically made to support Bitcoin. Guarda is a multi-currency wallet. It has cool features to protect your currency. They store no client information. So your wallet data and the security key isn’t also held by Guarda. When you log in the private key is held by Guarda’s secure memory and then deleted from its server when you log out. This is another good option for someone who wants transaction privacy, Guarda requires no registration or identification to shift from one currency to the other. Currency trading is also easy with their inbuilt currency trading portal. Exodus is a computer-based cr​​yptocurrency wallet and transaction platform. The design is very sleek and user-friendly with great colorful visuals that help you understand your transactions and currency. It is specifically good for someone new to the cryptocurrency world. Transactions follow a simple step-by-step process. It supports over 30 different currencies and making transactions is easy. Exodus has few restrictions on its transactions and is considered a lite wallet. That means there is no account set up so your key is private and you don’t have to store your entire blockchain on the desktop. This cryptocurrency wallet can be accessed on Exodus’s website for free. Coinpayments is a web and digital-bas​​ed wallet. They allow over 60 currencies on their platform. The wallet is full of state-of-the-art features like cold storage, vault, instant confirmation, and multiple signatures. They also integrated with Bitgo to make storage safer and transactions, specifically with Bitcoin faster and easier. You can store multiple currencies with no limit. You can access this cryptocurrency wallet through CoinPayment’s website for free. Celery was on the forefront of Blockchain and cryptocurrency development and launched their wallet all the way back in 2013. It is still considered one of the best wallets. The Celery platform is a web-based and provides transactions for three of the most used currencies, Bitcoin, LiteCoin, and Dogecoin. This wallet is one of the best cryptocurrency wallets for beginners because of its simple and self-explanatory platform, limited currencies, and weekly transactional limits. It provides a good space for someone to learn the ropes of cryptocurrency without feeling overwhelmed. For security, Celery has integrated with case wallet which gives transactions multiple signatures. This cryptocurrency wallet can be accessed through Celery’s website for free. While many of the wallets we’ve reviewed have mobile applications this cryptocurrency wallet is all mobile. They have iOS, OS, and Android versions. It’s trading supports over 70 different currencies like Dogecoin and Zcash. The easy-to-use interface allows you to trade quickly and smoothly. The platform is hierarchically deterministic, which means it creates a new web address for your cryptocurrency wallet every time you make a transaction. Coinomi values privacy so there is no registration process. Coinomi software has changed from open source to closed source. This means that their code can’t be peer-reviewed. It isn’t possible for a user to check to see if they have any malicious or exploitative code. 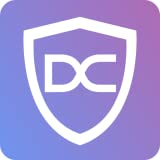 This cryptocurrency wallet is an app that can be downloaded for free on the Apple and Google Play app stores. The best cryptocurrency wallet for you will depend on several factors. Are you a beginner or a seasoned investor? Beginner investors will be best served with easy-to-use interfaces like Exodus or the Ledger Nano S. How much do you value privacy? If you are looking for no personal verification a wallet like Jaxx or Exodus is the best cryptocurrency wallet for you. If you are most concerned about safety, the best cryptocurrency wallet for you is based on hardware. You should look at wallets like the Ledger Blue. If you are looking for the best of both worlds, online but secure, a wallet like Guarda is your best choice.